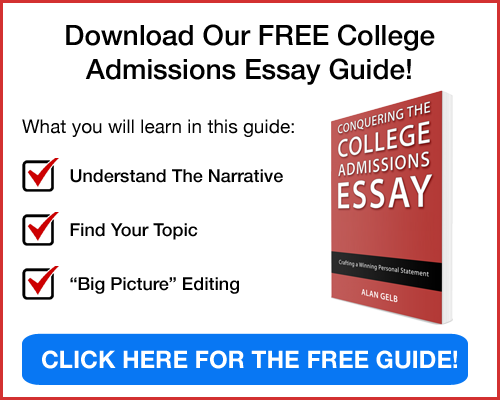 In creating content for our Site, Conquer the College Essay asks that visitors disclose comparatively little information. In general, the collection of information is limited to what is known as non-personally identifying information (e.g., screen name, gender, state, zip code, and country of residence). On occasion, we may ask for limited personality identifying information (e.g. your legal name, email address and/or email address of parent or third party), as explained below, in order to expand the success of our programs as well as your learning experience. To protect the security and integrity of the Site. Interested parties who wish to receive emails about our services and our Site can contact us at info@conquerthecollegeessay.com [AG1] . In responding to such inquiries, we may seek additional non-personal information that can better help us respond to your questions. We do not sell, transfer, or share email addresses with any third parties. Conquer the College Essay respects the privilege of receiving information from visitors and makes sure to protect the privacy of users. On occasion, we may use personality identifying information for purposes such as sending email messages but we do not currently disclose that information to third parties. Additionally, we may use such personality identifying information to provide you with relevant marketing materials, and to contact Site users who have asked that Conquer the College Essay contact them directly about such sales and special offers. If requested, we may disclose personality identifying information to third parties in order to comply with law or requests by law enforcement agencies or to protect the rights, property or safety of our Site. At any point, users may opt out of receiving communications from us by sending an email to info@conquerthecollegeessay.com. Let us note that many Internet browsers allow you to disable or reject most Tracking Technologies through the “Internet Options” sub-option of the “Tools” menu option of your browser. Consult the “Help” section of your browser for more information. For more information about Flash cookies and how to remove them from your computer, please visit http://kb2.adobe.com/cps/526/52697ee8.html or http://epic.org/privacy/cookies/flash.html. It is critical that all Internet sites ensure the safe online experience of high school students and other minors. Accordingly, Conquer the College Essay is designed principally for the use of students, age 13 and older, as well as their parents, and schools. If you are under age 13, please obtain your parent/guardian’s permission before using this Site. Conquer the College Essay has taken all reasonable steps to ensure that personality identifying information that we may collect is secure. This is effected in large part by limiting the number of people who have physical access to our database servers as well as using electronic security systems and password protections that guard against unauthorized access. One of the values of an Internet site is the way that it can connect you to other valuable Internet sites. This is done, in part, by offering links to such sites. Conquer the College Essay carefully reviews websites before linking to them, but it should be understood that these other websites may have their own information collection practices, which are guided by privacy policies that could be substantially different from ours. It is prudent for visitors to other websites to review the privacy policies and information collection practices of those websites. Intellectual property is a precious resource, and Conquer the College Essay respects the intellectual property of others as much as we do our own. We ask that you do the same. Information that you give us must be true and cannot be defaming to others and we are not responsible for such flawed information. In accordance with the Digital Millennium Copyright Act (“DMCA”) and other applicable law, we will terminate, in appropriate circumstances and at our sole discretion, subscribers or account holders who we regard as repeat infringers. We may also at our sole discretion limit access to our Site and/or terminate the accounts of any users who infringe any intellectual property rights of others, whether or not there is any repeat infringement.